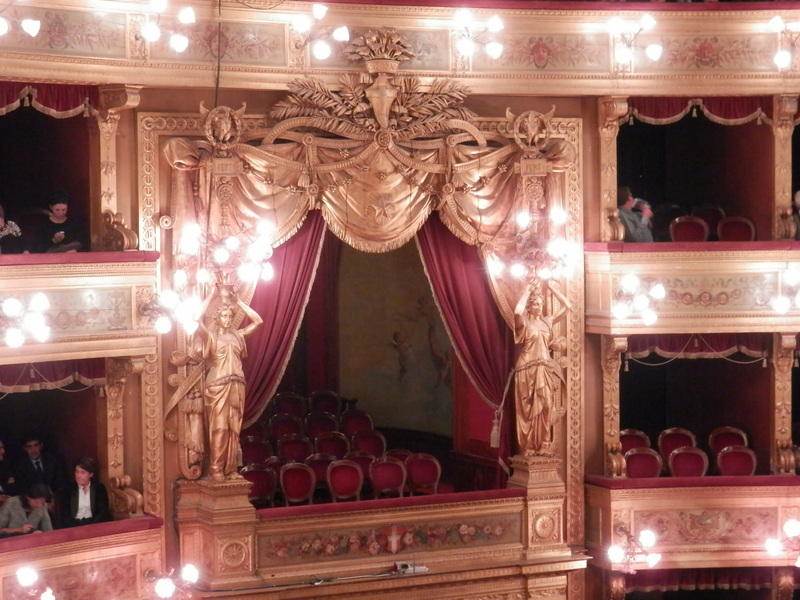 To celebrate Sicily becoming part of Italy, Palermo Council announced a competition in 1864 to design a new opera house for Palermo. 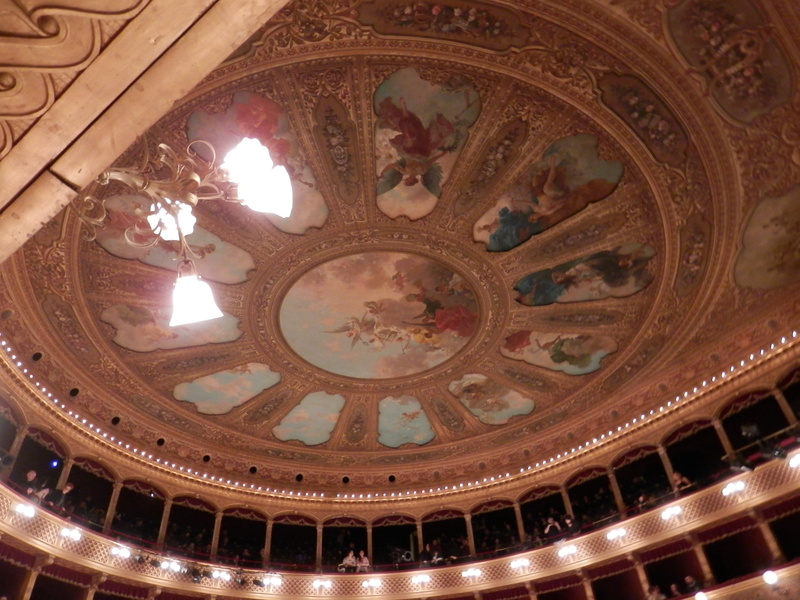 An opera house! Can you think of a better way to celebrate being Italian? The winning design was by Italian architect Giovan Battista Filippo Basile. At the time, it was the largest theatre in Europe. It still has the largest stage of all Europe’s theatres. They use it to great effect. 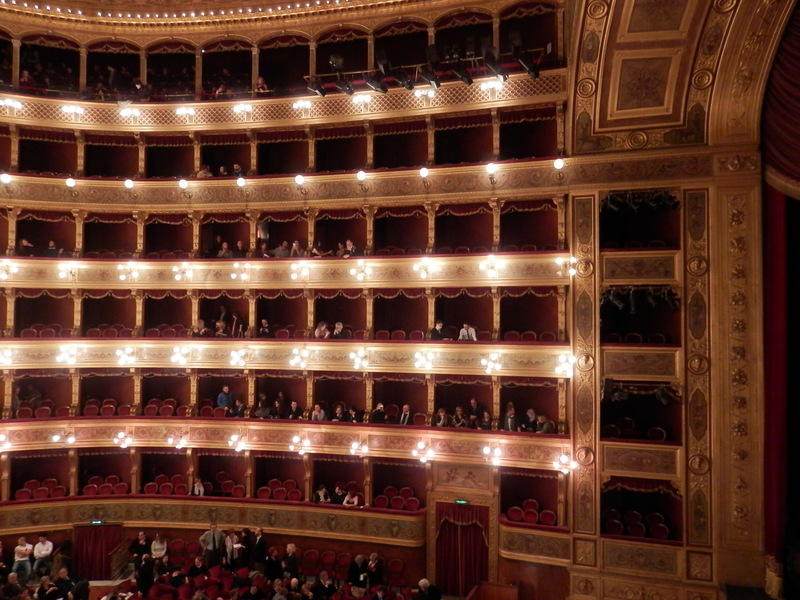 At one opera, they created a vast ship and made the stage look as if it were flooded with water. I have also seen a production where they made it snow throughout the theatre. 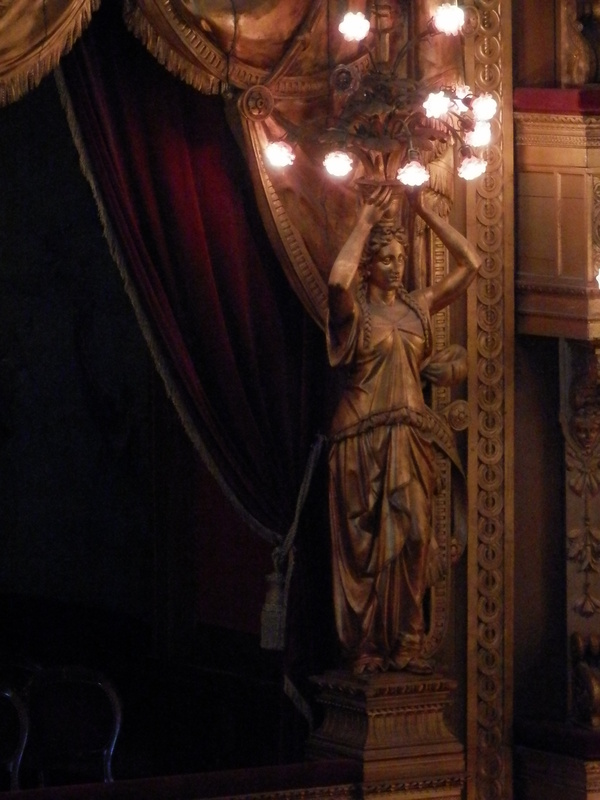 More important for me, though, is that the building is beautiful, and that the singers are outstandingly good. I am highly judgmental of opera singers as my father brought me up to be very discerning! I took these photos when I went for my birthday last year. Opera! Can you think of a better way to celebrate getting a year older? Holy-moly this is some theater. What did you see? It’s so marvellous that people actually buy tickets to go and see the inside even when there isn’t any performance going on! 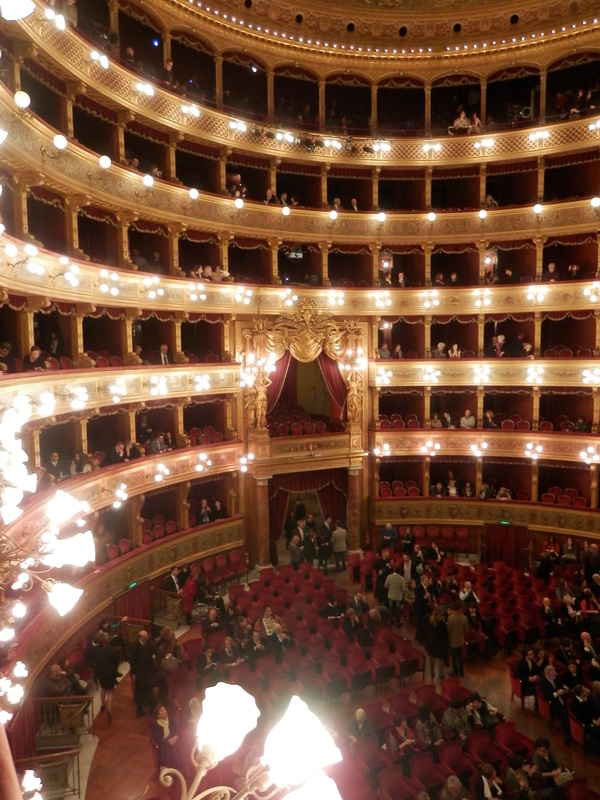 I’ve seen the Vespri Siciliani there, and a couple of other operas by Verdi, my favourite composer. I am waiting till they do another production of Aida – I will HAVE to see that! I took the tour in 2013. Gorgeous! 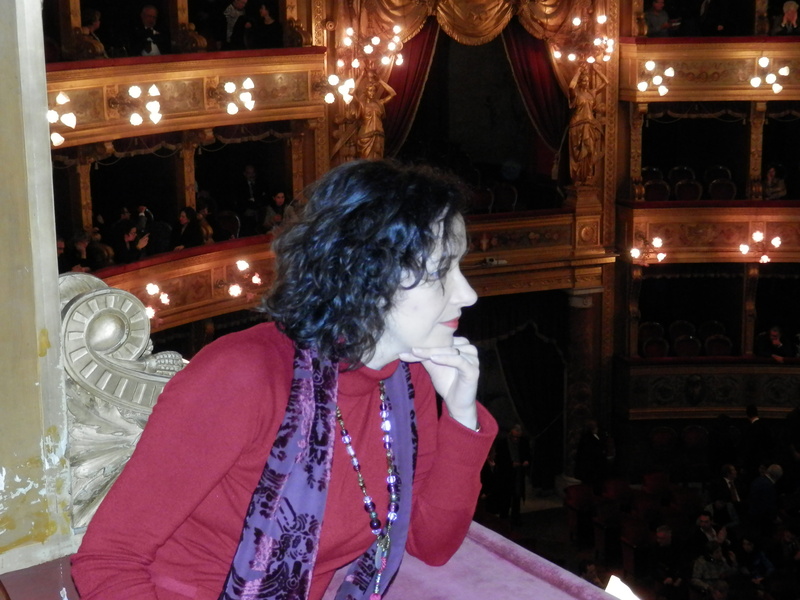 Plan to see Un Ballo in Maschera in May, 2015. Oooh, I’m envious!!! Have a wonderful time! Totally jealous. Every time I’ve been there, there were no performances that week. What a great way to celebrate. Now I thought there was a scene at the opera house! Benigni is an innocent who heppens to look just like a major Mafia latitante…. 😀 Did you run all that Italian through Google translate? I wonder how they would handle it!! Benigni really is a comic genius, isn’t he? A gorgeous space. 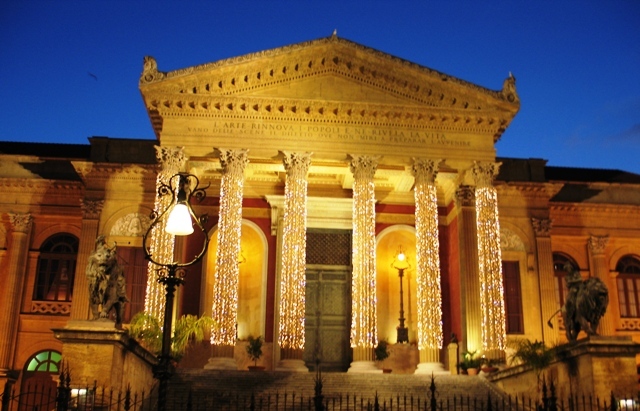 When I was there in 2011 it was (of course) in restauro but I rather liked the faded, cracked parts – very Sicilian! I used to love the faded, peeling glory of Sicily too, but now I have lived here all these years I just find it irritating! Why don’t they take proper care of anything? They have ample money, but the corrupt administrators always steal it and keep the island poor and grotty.